Flooding is continuing to be monitored throughout Umatilla County while residents, volunteers and emergency management personnel work to prevent further damage. 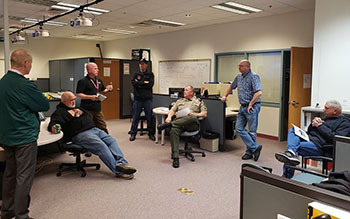 According to the city of Pendleton, an incident management team from the State Fire Marshall’s Office arrived on Sunday and is onsite at the Emergency Operations Center in the Umatilla County Sheriff’s Office in Pendleton. The Bureau of Reclamation and the city of Pendleton have agreed to maintain the current flow of McKay Reservoir at 2,600 cubic feet per second (cfs) and will maintain overnight. Incident Command will meet at 8:30 a.m. Monday morning to re-evaluate. McKay Creek School is still open at this time and residents are encouraged to check the Pendleton School District website for any updates. The flooding has caused damage to homes and structures throughout the county. 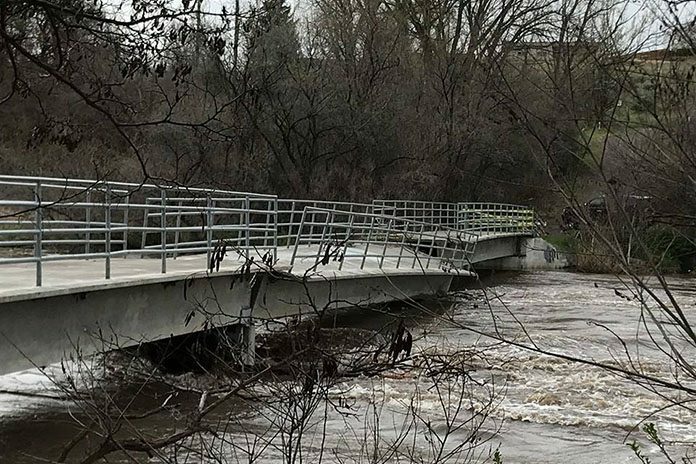 A footbridge near Umatilla High School has been washed out and is blocked off. Struve Bridge continues to be monitored by the city of Pendleton Public Works crew. Kayak Public Transit and Mid-Columbia Bus Company pitched in to help with the evacuation of Willowbrook Adult Facility in Pendleton on Saturday, April 13. Rising waters have flooded city parks in multiple communities as well as back yards and city streets. The U.S. National Weather Service issued a flood warning on April 12 for northwest Umatilla County, specifically southwest Pendleton, along McKay Creek. The flood warning for that area is in effect at least until Monday morning at 3 a.m. The National Weather Service states that high-water levels could remain constant into next week.